The doomed petro shouldn't stop other countries from trying a national cryptocurrency, but it probably will. Continue making purchases using the country’s almost-worthless local currency, the bolivar. Go to the black market and buy U.S. dollars. And so the process of inflation began. Hyperinflation — an extreme form of inflation where a currency’s value jumps erratically — has gripped the country since the beginning of 2018. And it’s only predicted to get worse — by the end of the year, inflation is predicted to hit a staggering 1,000,000 percent. In 2017, a bag of rice cost 8,000 bolivars. Just last week, it’s price would’ve been well over 9 million bolivars. About 15 percent of the population is desperately fleeing from an economic crisis. Crime rules the streets, while critics of president Maduro’s authoritarian regime are threatened with political persecution. It is, unfortunately, a situation characteristic of a rapidly collapsing economy. The bolivar is rapidly becoming worthless. It’s only logical, then, that people turn to more stable alternatives like US dollars traded on the black market, or even bartering for goods and services. In a desperate attempt to stop the spiral of hyperinflation, Maduro recently introduced a new currency called the “sovereign bolivar.” To be clear, the “sovereign bolivar” is simply a rebranding of Venezuela’s previous currency. The only real difference is that its value simply had five zeros lobbed off the end — in other words, something previously worth 1,000,000 bolivars is now worth just 10 sovereign bolivars. But its value will also be tied to the petro, a state-funded cryptocurrency that launched back in February (the previous bolivar was loosely tied to the U.S. dollar). This change won’t do much to help Venezuelans, Steve Hanke, a professor of applied economics at Johns Hopkins University and a leading expert on hyperinflation and exchange rate regimes, tells Futurism. “The removal of zeros and the introduction of a new currency with a new name does absolutely nothing. It’s a cosmetic kind of change.” Just days after the devaluation, thousands of businesses closed temporarily to figure out how to adapt to the “sovereign bolivar,” according to the BBC. 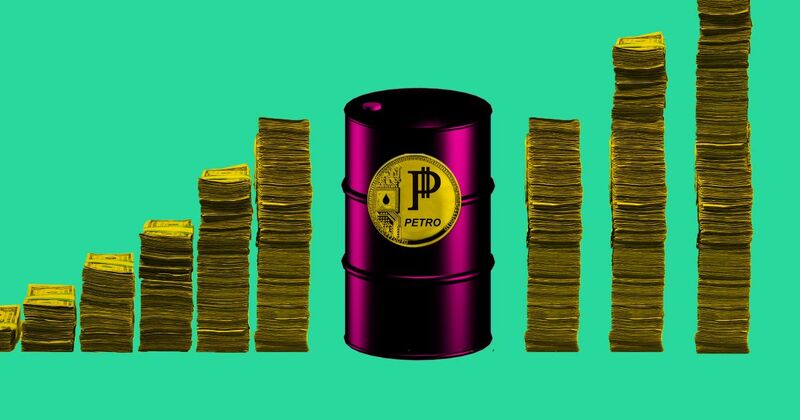 The petro (the cryptocurrency the sovereign bolivar is tied to) is doing something groundbreaking, however — it’s one of the first attempts to introduce a state-backed cryptocurrency. If the situation were different, Venezuela could provide a promising model for other nations looking to shift to a blockchain-based currency. But that’s not what’s going to happen in Venezuela. Instead, the petro might become a cautionary tale that could discourage other nations from introducing similar state-backed cryptocurrencies. The whole point of introducing the petro was to boost an ailing economy. It probably won’t achieve that goal. That’s in part because, as a cryptocurrency, the petro lacks many of the elements that make cryptocurrencies work: transparency, and decentralization with no central authority fixing prices. Most cryptocurrencies are volatile because their value is tied to how many coins of that type there are, and how popular that coin is — in other words, a classic case of supply and demand. That’s the reason Bitcoin’s value has yo-yoed an awful lot over the last year — people bought it, then worried its value would tank thanks to bad press, and sold some of it off. The Venezuelan government, however, decided to peg the value of the petro to the cost of a barrel of oil (about $60). On the plus side, that makes the petro more stable than your average cryptocurrency (even though the Venezuelan government can change the value anytime because it controls so much oil). But it also means that a decentralized market of investors, should any decide to buy the petro, wouldn’t have any effect on the petro’s value. The government’s scheme displays a fundamental misunderstanding of how the blockchain works. The government’s scheme displays a fundamental misunderstanding of how the blockchain works. The currency’s white paper, released by the Venezuelan government in February, didn’t offer much clarity. Typically, a white paper details the structure and backing of a given cryptocurrency, but the petro’s paper is too convoluted to actually spell any of that out. According to the paper, the petro is a “sovereign crypto asset backed by oil assets and issued by the Venezuelan State” to “spearhead for [sic] the development of an independent, transparent and open digital economy” for all of its citizens. 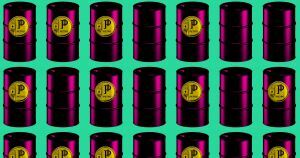 What it doesn’t tell us, as hackernoon points out: how a petro could actually be redeemed for a barrel of oil — a glaring omission that ultimately makes the coin look pretty darn sketchy. And that’s what international experts saw when they read the paper, immediately calling the petro out for being a “scam” that was purely meant to circumvent international sanctions and access foreign markets. “If you read the white paper, it’s internally inconsistent. Smoke and mirrors, vague and so forth,” says Hanke. The initial coin offering (ICO) for the petro was as mysterious as the coin’s announcement – no transparency or investor confidence here. Hoping to sell some 38.4 million petro tokens (worth about US$6 billion) to support the rapidly devaluing bolivar, Maduro gave early investors a whopping 60 percent discount to incentivize trade. That, however, ended up making the whole launch look even more fishy. The government announced it made US$3.3 billion in the pre-sale, but this number was never verified by any independent organization, and the Venezuelan government has been (characteristically) tight-lipped about the petro since its ICO. The rest of the world isn’t exactly rooting for the petro. U.S. president Donald Trump banned any U.S. citizens from buying any Venezuelan petros, calling the endeavor “another attempt to prop up the Maduro regime, while further looting the resources of the Venezuelan people,” a spokesperson from the Treasury Department told Reuters in January. Without official backing by the international community, it won’t stand much of a chance of ever becoming legitimate legal tender (if it even exists beyond some shady business deals in the first place). No blockchain expert in the world could make an accurate guess as to how the petro is doing right now, or if it’s even being used. Frankly, it doesn’t even really matter, because no Venezuelans are actually using the petro. “We have not seen a single Petro circulating, nor its smart contracts, or rules of the token, and much less its blockchain,” Jorge Farias, the CEO of Venezuelan startup Cryptobuyer, a Latin American crypto exchange, tells Wired. “It doesn’t trade. It’s a fiction. No one’s using it, so the whole thing is a scam,” Hanke says. And nor does anyone seem likely to start using it. Despite Maduro’s attempts to use the petro to stabilize an economy in free fall, hyperinflation hasn’t slowed at all. But Venezuela isn’t out of options yet. If history is any indication, there’s really only one way out of the spiral: the U.S. dollar. In fact, despite what the government wants the international community to believe, Venezuelan citizens have already turned away from the bolivar. “The dollar has replaced the bolivar for all practical purposes already. But not officially — [Venezuela] is not officially dollarized,” says Hanke. “Dollarization” (or “currency substitution”) is the process of replacing the current local currency with a far more stable anchor, like the U.S. dollar, the Euro, or even gold. Lots of experts outside the country are all for dollarizing the Venezuelan economy because it’s been the only thing to stop other countries as they’ve suffered an economic free fall. “You’re talking about something in theory and not in the real world. The petro doesn’t exist. That’s why the whole thing is a scam. For blockchain-based cryptocurrencies like the petro to even stand a chance at a national level, they need a central authority that holds enough of the anchor reserves (U.S. dollar, Euro or otherwise) to back it up. “The cryptocurrency world will only succeed in the long-run if they are organized as currency boards,” says Hanke. A currency board acts as a central authority (in the place of a central bank) that makes decisions about the exchange rate — it allows for unlimited exchange of the local currency and can only add more local currency if it has equal amounts of foreign currencies. “Until then, these cryptocurrencies are just not currencies. They are highly speculative assets but they are so volatile that they are not stable units of account,” Hanke says. Who knows, the world might just not be ready yet for a national blockchain-based currency. But Maduro’s petro isn’t a good assessment of how ready we are. It’s effectively a cautionary tale of misunderstanding a very powerful technology. Instead, Maduro’s government is using the petro to distract the international community from the nation’s economic instability, diaspora, and political unrest. The doomed petro experiment shouldn’t prevent other nations from taking a gamble on a national cryptocurrency, but it very well might.